I’m a fan of a day trip. For me, it’s a good mini getaway and chance to recharge; even it’s for a few hours or the entire day. Over the past year and a half as a blogger at Visit Hendricks County, I&apos;ve spent a good amount of time visiting Avon. So, I wanted to share 10 of my favorite places to eat, shop and play on a day trip in Avon. Let&apos;s get to it! 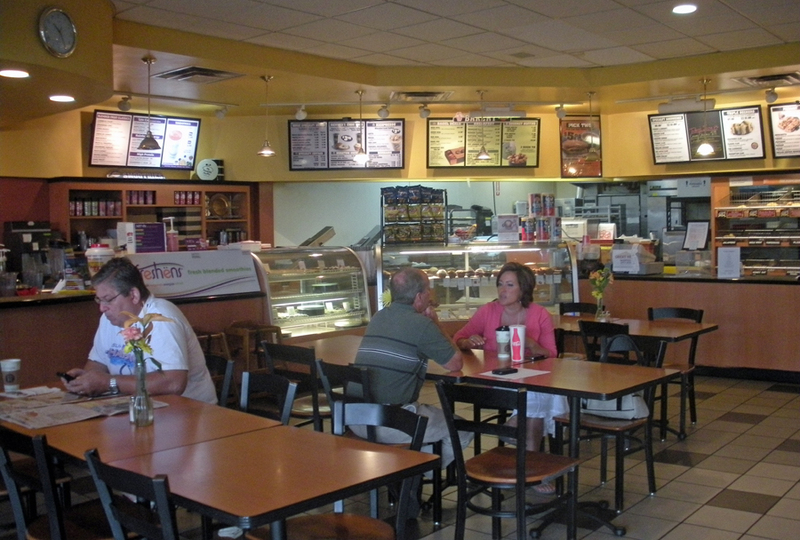 Eat Big Apple Bagels Start your day trip off right with a bagel with cream cheese and a cup of coffee. Fans of bagels and mini muffins (they serve those too and believe me, they’re addictive), flock to this bagel shop to get their bagel fix. Try one of their breakfast sandwiches, like the Southern Classic (sausage, bacon or ham with scrambled eggs and American cheese) or their Lox and Cream Cheese. Details: 8115 E. U.S. 36, Avon, (317) 272-6944. Open early (at 4:00 a.m.). Serves breakfast and lunch. The Cinnamon Rooster You’ll find a large menu here with breakfast sandwiches and classic breakfast meals, like The Sunrise (2 pancakes, 2 eggs and choice of meat) or Hay Bales (2 biscuits with sausage gravy). Just don’t leave without ordering the Signature Cinnamon Roll. Details: 8107 E. U.S. 36, Avon, (317) 272-7332. 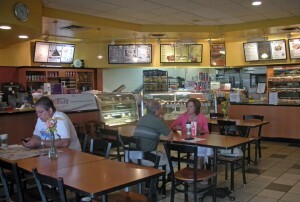 Serves breakfast and lunch and kids menu available. Thai Thai There are more and more ethnic restaurants opening in Hendricks County and Thai Thai is one of the latest additions. You’ll find a variety of dishes to tempt you from appetizers like Crispy Rolls (spring rolls) to popular entrees like classic Pad Thai (Thailand’s most popular rice noodle dish) and Massaman Curry (a curry dish with meat, coconut milk, zucchini, potatoes, carrots and pineapple). 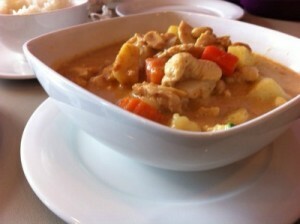 Whether you like a little bit of heat or a lot, Thai Thai will accommodate your spice level requests. Details: 9269 U.S. 36, Avon, (317) 875-1388. Lunch menu available Monday-Friday, dinner menu available Monday-Sunday. 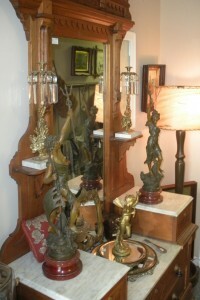 Shop Avon Antiques This longtime Avon business (open for 22 years) has something for any antique fan. I’m a fan of jewelry and purses and always looking for that “special” piece (I know it when I see it). Check their “Want to Buy” section of their website for items they’d like to purchase. Details: 192 N. Ind. 267, Avon, (317) 272-4842. Open Monday through Saturday. Sunday by appointment. 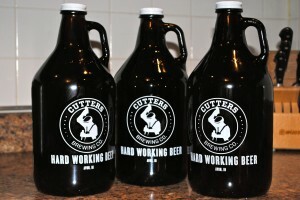 Cutters Brewing Co. Visit Hendricks County blogger, Eric Ivie, recently wrote about his tour and tasting at this new microbrewery in Avon. Stop in to learn about craft beer, the beer-making process and taste one of their varieties of beer. Don’t leave without purchasing a six pack or growler. Details: 9973 E. U.S. 36, Avon, (317) 203-9675. Free tours available. Call prior to your visit to arrange a tour. Check their website for hours and more information. Fannie May Chocoholics: I haven’t forgotten about you. Stop in this gourmet chocolate store for one of their sweet treats. My personal favorites are the Mint Meltaway (mint and chocolate) and Trinidads (chocolate, butter cream and toasted coconut). I like that you can buy as little or as much as you want. It’s a great option if you only want a few pieces of chocolate (when I’m trying to pretend I have a bit of willpower) or if you’re buying presents (Hint: Valentine’s Day is right around the corner). Details: 10973 E. U.S. 36, Avon, (317) 317-209-8718. Sugar-free options available. Check with the store for specials and applicable discounts. Gordmans Discount shoppers will find whatever they’re searching for at Gordmans. 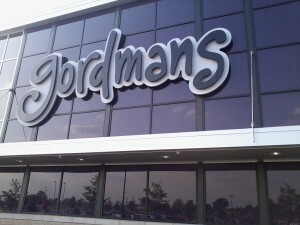 Before you visit this discount department store, read Visit Hendricks County blogger Ericka Bethel’s review of Gordmans. I’ve visited a handful of times and found holiday décor, clothing and accessories at reduced prices. I find something every time I shop at Gordmans and could easily spend a couple of hours hunting for deals. Shopaholics will rejoice! Details: 214 Gable Crossing Drive, Avon, (317) 209-9778. Check their website for coupons and other discounts. Moody Meats Remember the days when towns had a local butcher shop? Well, Avon still has one. The meat you’ll find at the shop is from local farms. I’m a fan of their ground beef (some of the best hamburgers I’ve made), steak (their filets are amazing), breakfast sausage and bacon. Don&apos;t forget to bring a cooler with you. Details: 235 N. Ind. 267, Avon, (317) 272-4533. Check their website for updates and specials. Play Monster Mini Golf What child doesn’t love a game of mini golf? Kids will have endless fun at this indoor mini golf course that glows in the dark. Even better? It’s monster-themed. 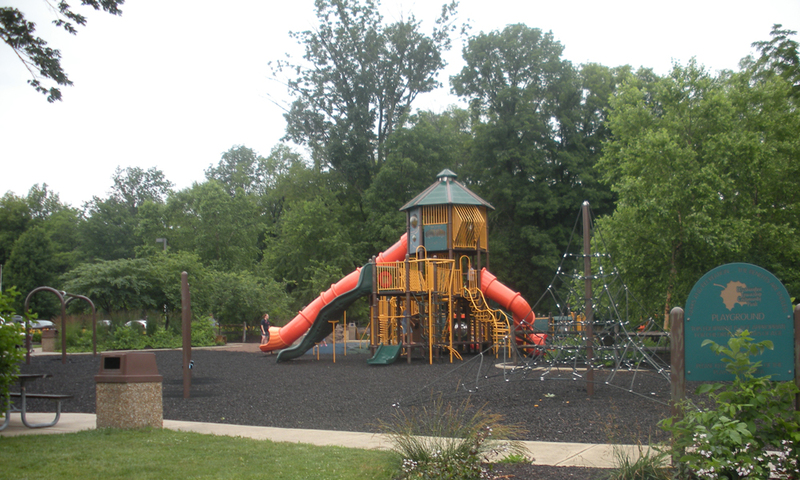 You’ll find something for kids of all ages at this crowd-pleasing Avon attraction. Details: 7591 E. U.S. 36, Avon, (317) 268-4946. Check their website for discounts and other specials. Washington Township Park I try to visit a local park when I’m on a day trip. It’s a good opportunity to go for a walk (work off that big breakfast or lunch) and take a few photos. Washington Township Park in Avon offers 5 miles of hiking trails, bike trails, basketball, playgrounds and more. Take the kids to their amazing playground or for a walk through the woods. If you have a dog, Hendricks County’s first dog park: Paw Park is right next door. Details: 115 S. County Road 575 East, Avon (317) 745-0785. Note: The Splash Pad opens Memorial Day (weather permitting). Check the website for information and rules. These are just a handful of the many places you can visit on day trip in Avon. What do you enjoy seeing, eating and doing in Avon? Please share your recommendations with us in the comments section below.